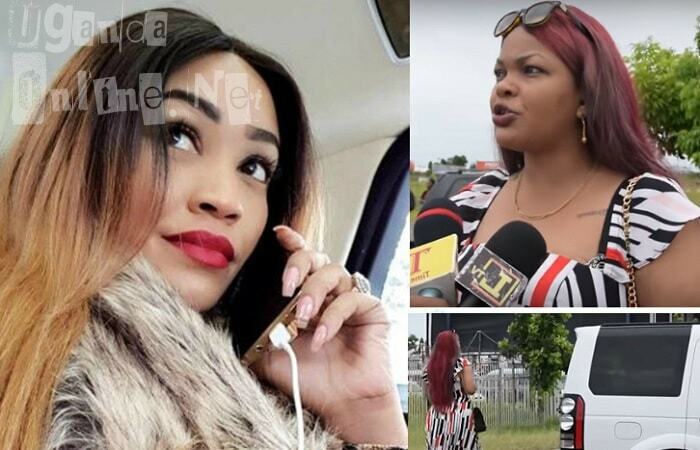 Trust, Zari you don't do certain things and you get away with it, when Wema was talking to scribes about her new found job with Zari's ex-lover, Diamond Platnumz, she revealed way too much that did not go down well with the South Africa based Ugandan socialite. 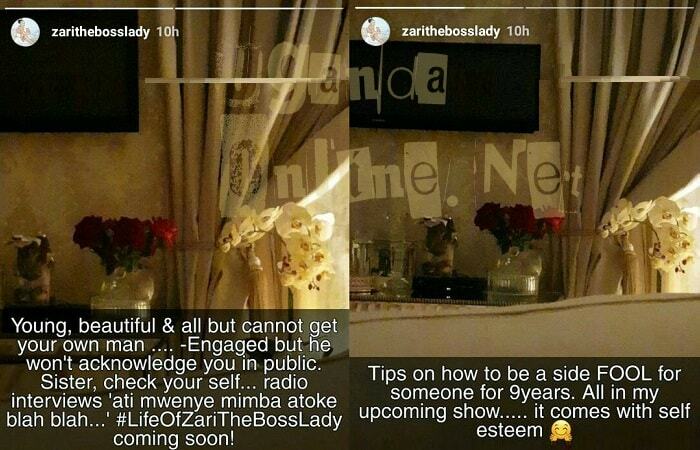 Using Snapchat with her Valentine's day flowers from Mr. X that she is still reluctant to disclose at this time, Zari shot back at her rival, Wema Sepetu. "Young, beautiful and all, but cannot get your own man..Engaged, but he won't acknowledge you in public. Sister, check yourself and in those radio interviews, talk about the failed pregnancies.."
It should be recalled that recently when the mom of five was in the UK for her post Valentine's party, she was interviewed by the BBC Swahili version and during the interview, she revealed that she was in advanced stages of rolling out her reality TV show dubbed; The Life of Zari the Boss Lady. 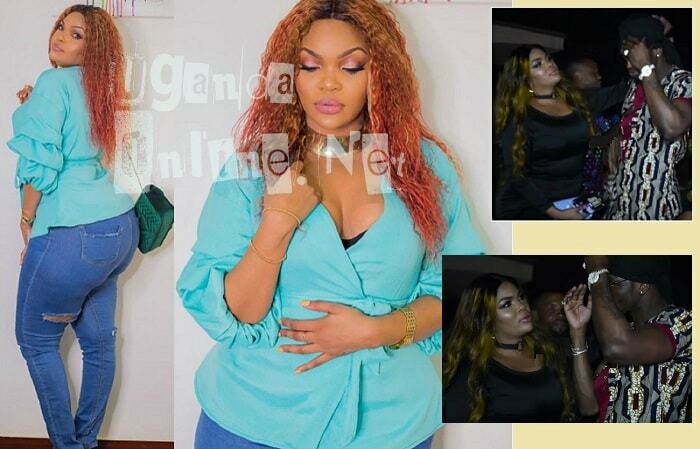 You can be sure that Diamond Platnumz' side chics and baby mama's will not be spared in this yet to be rolled out reality show as she hints on it in this latest rant with Wema Sepetu. "Tips on how to be a side fool for someone for 9 years. All in my upcoming show, it comes with self esteem," She concluded. Inset are the pics that upset Zari and ever since then, the Zari and Diamond Platnumz relationship took a nosedive.